An old legend is still very much alive in the mountains of West Virginia. John Henry, the steel-drivin’ man who won a race with a steam drill, was a real guy who really had a competition with technology, and really paid with his life. Probably. Maybe. But one thing’s for sure, if John Henry really did pit his muscle against machine, it happened in Talcott, West Virginia — a tiny railroad town that would otherwise be unremarkable, if not for its larger-than-life legend. Talcott is located on WV Route 3 & 12. From Interstate 64, take the Sandstone/Hinton exit, and head south on WV 20 through Hinton. Route 20 meets Route 3 at Bellepoint — follow Route 3 east. At the junction where Route 3 and 12 meet, cross the river and continue on Route 3 and 12. John Henry Park will be on your right, near the bottom of the hill as you enter Talcott. Things have changed since the last time I was in Talcott. Just a few weeks before my visit in 2017, John Henry Park officially opened to the public. The park is still pretty basic, but it’s a vast improvement over the way things used to look here. 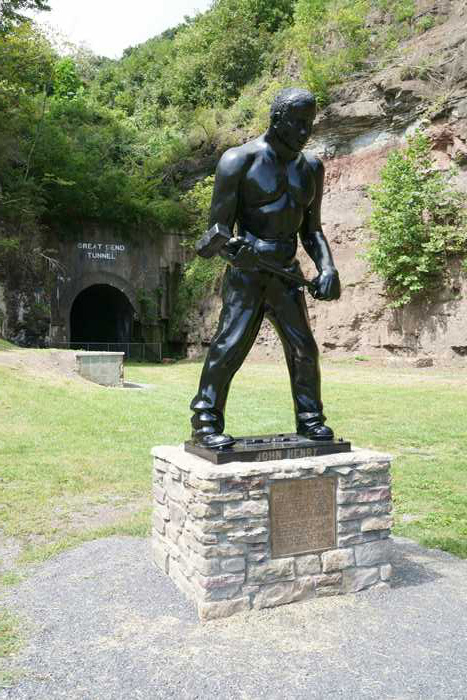 Now, John Henry stands watch, with a hammer in his hand, in front of the Great Bend Tunnel, which he helped dig. 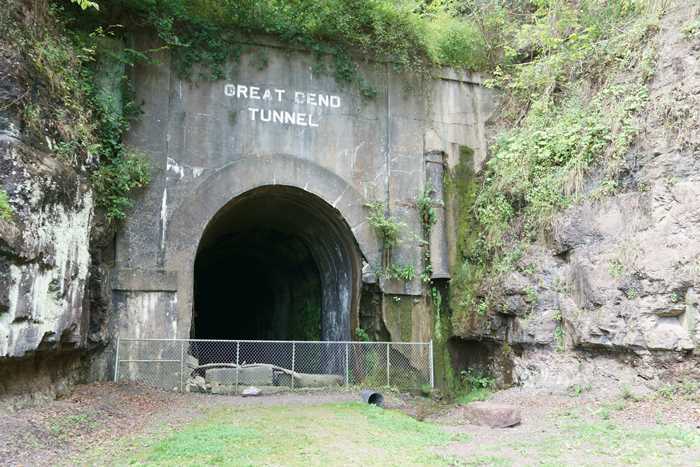 On my previous visit, the entrance to the Great Bend Tunnel was not fenced. A couple of visits ago, it was overgrown, and hard to get to it. Now, you can walk right up and peer inside. The floor of the tunnel is flooded, and the brick lining on the walls and ceiling is covered with moss. It’s beautiful and a bit terrifying, all at the same time. On previous visits, I was able to see a glimmer of light from the other end, but not this time. Maybe part of the tunnel has collapsed, or perhaps the sunlight just wasn’t right on this particular day. 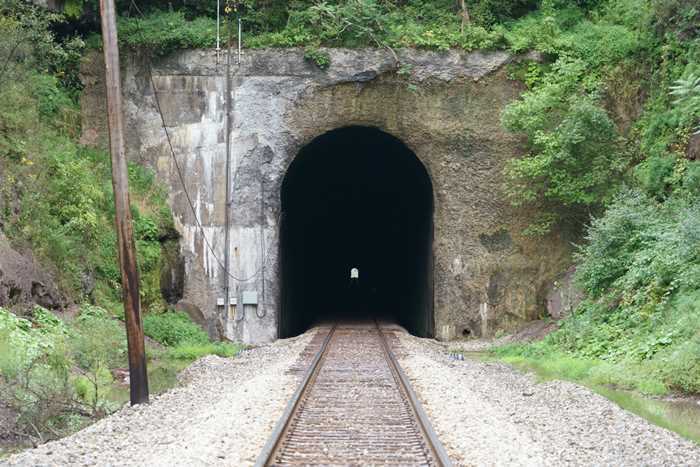 The Great Bend Tunnel was completed in 1873, but rockfalls caused repeated problems. The solution was to line the entire tunnel with bricks — but that project took ten years to complete, and required more than 6 million bricks. 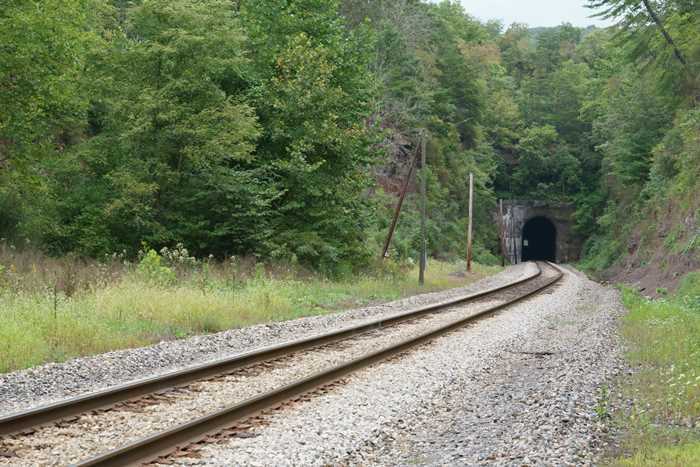 Just a few yards away from the Great Bend Tunnel is the Big Bend Tunnel. This “new” tunnel was finished in 1932, and is still in use today. Nowadays, a fence separates the new tunnel and the active railroad tracks from John Henry Park, for obvious safety reasons. The good news is, it’s easy to get to the other side. Just drive on towards town, turn and cross the railroad tracks, then drive up the other side. Of course, you’re not supposed to trespass on railroad tracks. 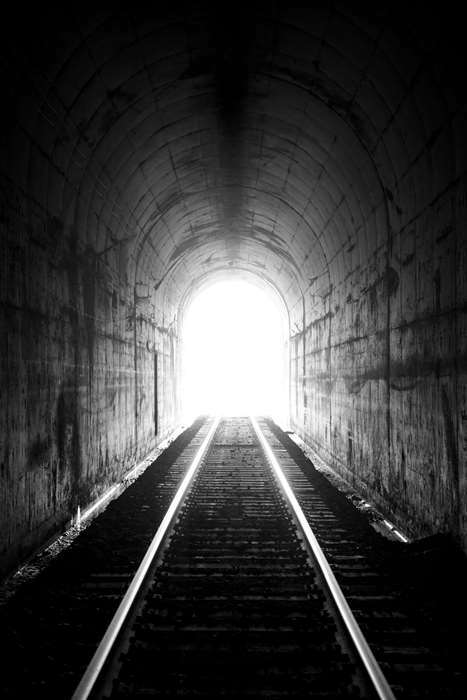 And if you do choose to walk into the tunnel, you need to be very careful, and remember that a train can approach from either direction. 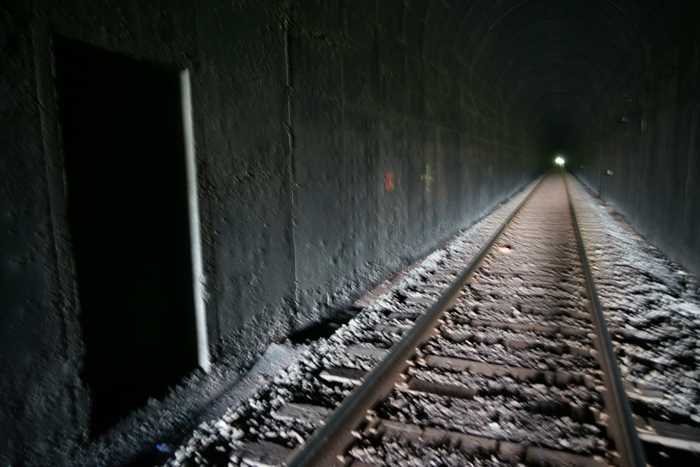 If one is coming through the tunnel, you’ll have plenty of warning (the tunnel is more than a mile long), but a train coming from the other direction could sneak up on you. 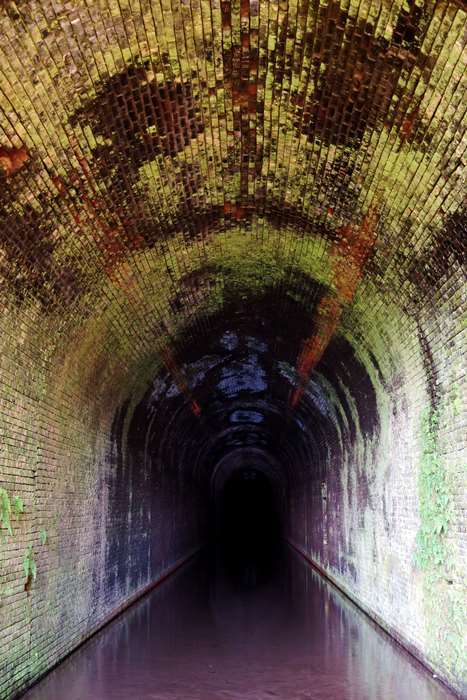 Don’t walk very far into the tunnel, because you might not have time to escape. I’ll show you more of Talcott in just a moment, but first, on this trip, I was determined to see the other end of the tunnel. After all these years, I had only visited the east end. I had no idea what the other end looked like, or how to find it. So, I did some guessing and some exploring. From Talcott, take Route 3/12 west, over the hill, and just before you cross the Greenbrier River, turn right, then right again. That road will eventually cross the railroad tracks — but instead, turn off the road and drive along the railroad frontage for a while. The rough gravel will assault your tires, so so take it slowly. 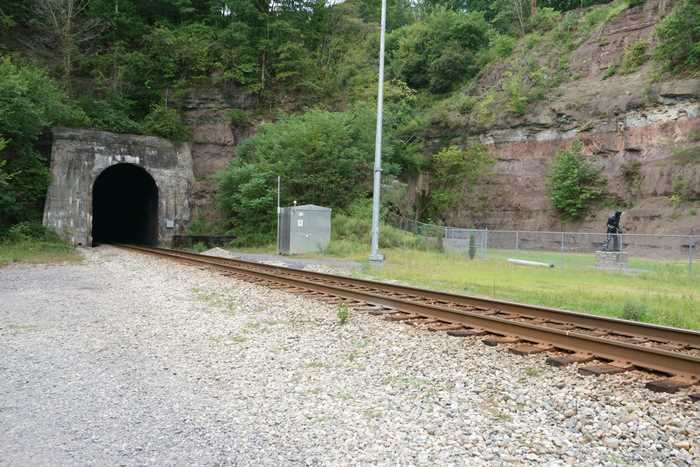 Shortly before the tunnel, it will become impossible to drive any further, so park your car and walk the rest of the way along the side of the tracks. And there it is, the western entrance to the Big Bend Tunnel. Just think, that little dot of light in the distance that seems so close is actually more than a mile away. If you take a few steps into the tunnel (again, watching carefully for trains), you’ll see something that looks like a door. It’s really just a tiny space that you can jump into if a train is coming. But what about the Great Bend Tunnel? This end of the tunnels is so overgrown, I could only catch a glimpse of something nearby. 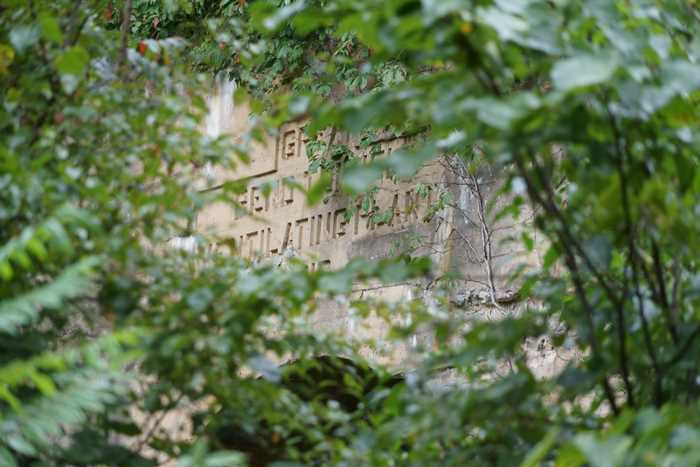 It looks like a tunnel, and the text reads “GREAT BEND TUNNEL VENTILATING PLANT”. So is this the west entrance of the Great Bend Tunnel? I’m not sure. There was no way to get any closer or see anything else, without a significant effort (and a chainsaw would have been helpful). … you might notice this roadside park along Route 3/12, directly above the tunnels’ east entrances. This is the old John Henry roadside park, and the statue of the folk hero used to stand here. 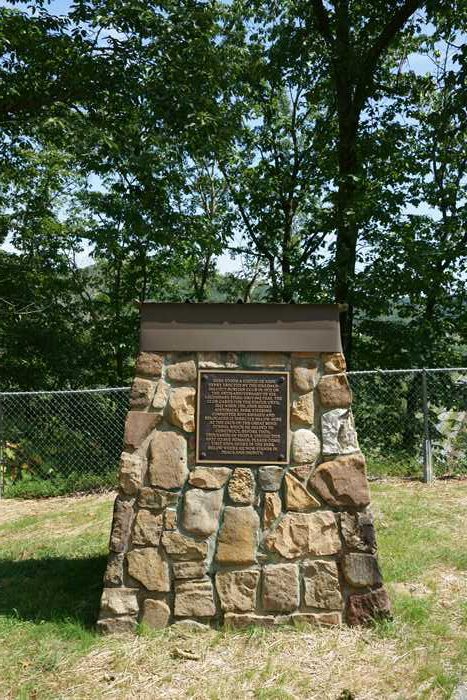 Now, only the base remains, along with a plaque that explains that the statue has been moved to the tracks below. 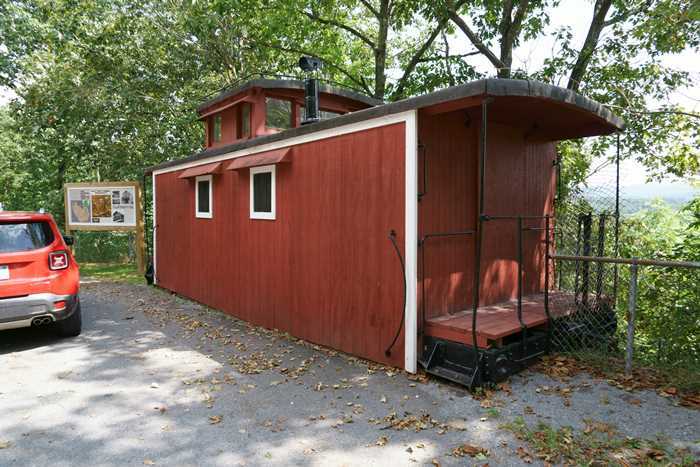 There’s also an old caboose that once served as a gift shop. I don’t think it’s been open in 30 years. Back down the hill in Talcott, I set out on my other mission of the day. In addition to tracking down John Henry’s history, I was also interested in reacquainting myself with my own past. I’m not certain, but I’m pretty sure this is the house my father lived in, when he was a young boy, in the 1920’s. I can’t even imagine what life would have been like, living in rural West Virginia a hundred years ago. I should have asked him more questions about it before he passed away. A big tree used to stand in front of this house. Now, it’s just a big stump. I’m pretty sure my father said that his father had planted that tree, before or after my dad was born. Either way, it’s gone now. I can’t say for certain whether the house is occupied or empty — in these parts, sometimes it’s hard to tell. 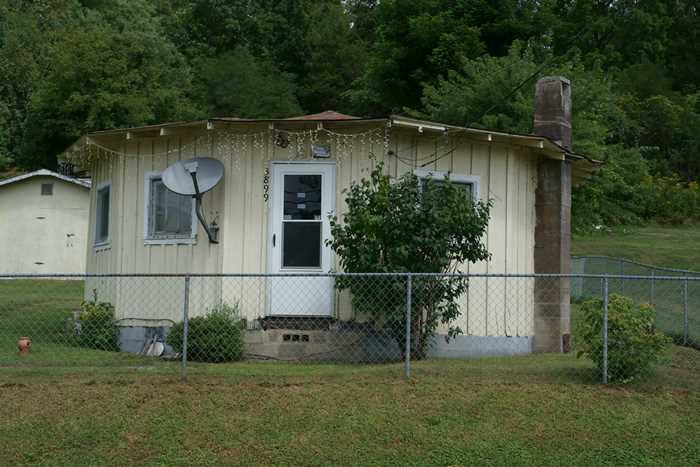 Next door to the old Woodrum house, there’s another house that you can’t miss, because it’s round. Or perhaps it’s 12-sided. Again, I know there was a story that went along with this house, but I don’t remember it now. Here’s one story I do remember from my dad. Every summer, on the last day of school, he and his siblings would come home and take their shoes off. They wouldn’t put them back on until they went back to school in the fall. 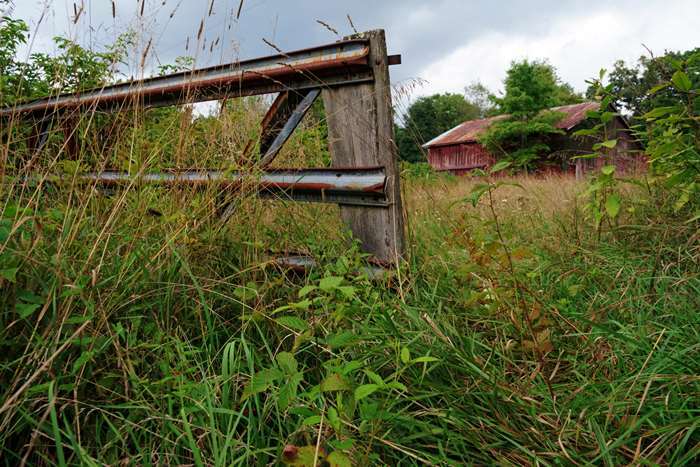 They were barefoot the entire summer — even when walking up the hill to his grandfather’s farm. I know that farm was somewhere above Talcott, possibly on Judson Road. I know it was at least a couple of miles away, and the road wasn’t paved. When I was growing up, on occasion, we’d drive over to Hinton, get a bucket of chicken at KFC, then drive on to Talcott and up to the farm and have a picnic. Somebody else owned the property by that time, but nobody seemed to mind that we would hop the gate and go see the old barn and walk around the foundation of the old house. I hadn’t been up there for, probably, 30 years, but on this trip, I hoped to find it. I sort-of remembered what the gate looked like and that it was located on a left turn in the road. I knew the barn was down the hill after you hopped the gate, and on the left, but not visible from the road. The old house foundation and spring were located straight ahead from the gate, maybe a little to the left. I can still picture parking our old ’74 Datsun pickup at the gate, sitting in the back, and eating the fried chicken. But, what I pictured in my mind didn’t match up with anything I saw on those roads above Talcott. Nothing fit. Nothing seemed quite right. Much more land had been cleared than I remembered. The barn was probably gone anyway. And I didn’t even know whether it was one mile or ten miles up the road, or down some side road. I spent a few hours driving around, and I managed to cover most of the one-lane roads on those hills above Talcott at least twice. But, I never found the old farm. I did find another beautiful old barn and gate. It was nice enough for a photo, but it wasn’t what I was looking for. 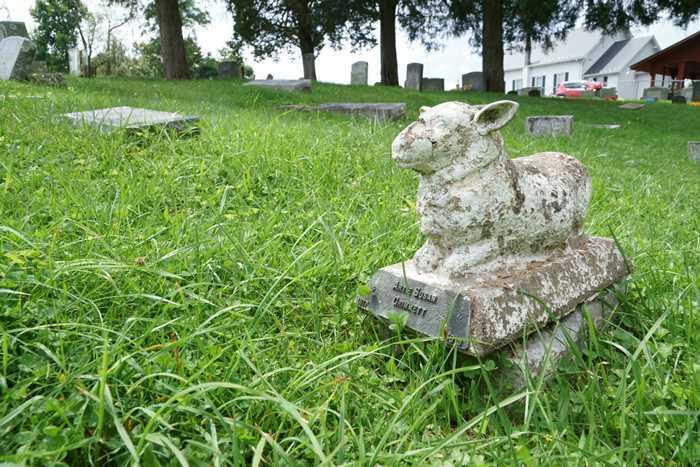 Our family trips to the farm usually included a trip to the Elk Knob Church and Cemetery, which is tucked away in those hills above Talcott. When I was a kid, it was the most boring part of the day. … along with some others that never grew up. Living in West Virginia back then would have been tough. I can’t even imagine it. I left Talcott without finding the farm, and I guess I never will see it again. I left with new questions about my father and his father and his father, which I guess will never be answered. But, it was still good to touch a bit of my own history, for just a moment. If you’re in the area, I’d highly suggest driving into Talcott to check out John Henry Park and the old tunnel he gave his life digging. 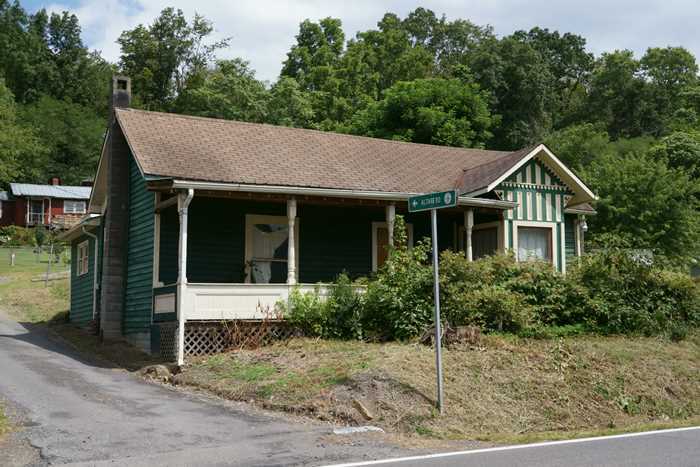 You’ll also get a chance to see an authentic Appalachian railroad town that’s somewhat untouched by the modern world. 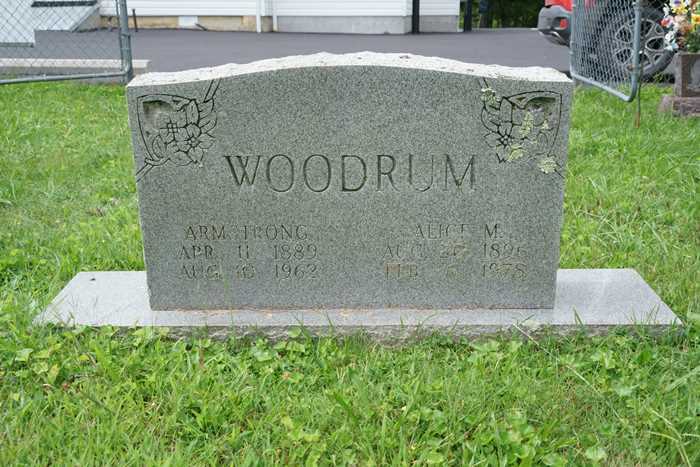 I know you probably won’t take the time to drive around the hills above Talcott, but if you do happen to end up in Elk Knob Cemetery, please say hello to the Woodrums for me.